On October 31, 2010, Michigan enacted a law called the “Super Drunk” law. Funny name, but not something to mess around with. The Michigan Super Drunk Law is applicable to drivers with a bodily alcohol content of .17% or greater. 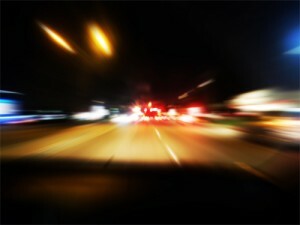 If the driver has no previous DUI offenses within the past seven years, the charges are less severe. However, the charges are almost double what a normal DUI charge would be. For a normal DUI offense (under .17% BAC), the maximum amount of jail time the offender faces is 93 days. But when the offender violates the Super Drunk Law, the maximum amount of jail time almost doubles to 180 days. The length of a license suspension also increases when a driver’s BAC is more than .17%. Normally, a DUI would leave the offender 30 days without a license, and 150 days with restricted driving. But when a driver violates the Super Drunk Law, they have 45 days with a suspended license, and 320 days with restricted driving. On top of this, violating the Super Drunk Law requires an ignition interlock device be installed in the vehicle for the entirety of the restricted driving period. If the BAC of the offender is greater than .025% and they are attempting to operate the equipped vehicle, the license penalty will be doubled. It would be as if the offender received another Super Drunk charge, and their only penalty was the license suspension. If this doesn’t sound exciting enough, it gets better. While normal DUI fines range from $100-$500, Super Drunk fines range from $200-$700. Also, the offender is required to obtain alcohol treatment for at least a year. Fines are not the only expense the driver is facing. The interlock device must be paid by the offender. The maximum amount someone with low income will pay is $2 a day, but that adds up quick. Not to mention drivers who don’t meet the low income requirements will be forced to pay the vendor’s rates. Installment for the devices costs around $50, and a monthly fee can be as much as $100. For removal of this device, the Secretary of State must first issue an order of its removal. At this point, 360 hours of community service doesn’t seem that bad, but it’s another item on the list of consequences for driving with BAC of .17% or greater. Six points are also added to the driver’s license. Previous post: 10 Federal Investigative Agencies and Their Responsibilities.